WordPress plugins are typically used by two groups of people: WordPress web site owners, and developers. It’s important to meet the needs of both sets of users. Developers may be people with a basic level of WordPress / PHP knowledge, who want to tinker with your plugin. They may also be experienced WordPress developers who want to use your plugin to provide specific functionality to a client’s web site. If you’d like an introduction to plugin development for WordPress, Tim Smith’s article WordPress Plugin Development is worth a read. Why Make My WordPress Plugin Developer Friendly? The main reason is you’ll help prevent developers from having to edit core plugin files to achieve the functionality they require. In turn, this reduces the number of support requests and potential frustration from developers who make changes, only to find their changes are reverted in a plugin update. Developer-friendly plugins also mean you’re more likely to get valuable feedback from more experienced developers, who may have extended your plugin’s functionality and are happy to provide their code enhancements. This allows your plugin to naturally grow, and become more stable, secure and useful to a larger audience. There are several ways to make your WordPress plugins developer friendly, and today we’ll cover using WordPress’ Actions and Filters. 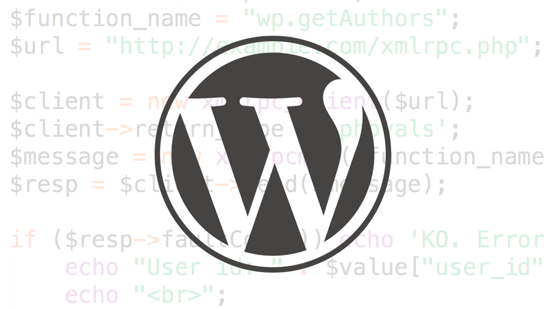 One of the core features of WordPress is its Plugin API. Specifically, this provides Filters and Actions, also known as hooks, which ‘hook’ into WordPress’ core at specific places. The first argument for add_action tells WordPress which action we want to hook on to. The second argument tells WordPress which function to call when the retrieve_password action is executed – in this case, we’d call the my_plugin_retrieve_password function. This returns false to the main variable in WordPress, which determines whether password reset requests can be executed. Given that WordPress registers a number of Actions and Filters for developers to hook on to, it would be equally useful to register your own Actions and Filters within your plugin, for developers to also use. If your plugin has a number of requests for specific functionality, you might be tempted to simply add this into your plugin. However, if it’s only a minority of users wanting specific functionality, you’d add your actions / filters at that point in your plugin, and then produce code that could be run in a separate, standalone plugin which hooks into those actions and filters. This allows developers and end users to get the functionality they require, without making large changes to your plugin’s core. It’s also a useful model to test drive new features as plugins, before merging them into your core plugin. This one is a bit trickier. Developers tend to build solutions to short term, immediate problems. Good developers will also look to ensure extensibility, so that these solutions can be reused, scaled or extended in the future. Wherever you see the potential for this to happen, but you don’t have a specific use case just yet, it’s time to insert an action or filter call. WordPress to Buffer Pro is a WordPress plugin which I’ve developed over the past few years. I received more and more requests to add or remove functionality – specifically, some developers wanted fewer scheduling options for their end users of the plugin, and some wanted more. The key code here is the final line, where we return the result of the apply_filters call. By introducing apply_filters, WordPress will check for any registered filters in the WordPress theme or other plugins, which have been registered using add_filter. If any filters are found, they’ll be executed at that point. 10: This refers to the priority order to run this filter. If multiple filters are registered against this specific filter, they are then run in priority order, lowest to highest. 1: This refers to the number of arguments the function call can expect to receive. There will always be at least one argument – the variable we’re modifying – but in some cases filters may provide additional variables / data as well. In those cases, we would increase this number accordingly. We’ve discovered how WordPress allows developers to hook into key actions and amend variables within the WordPress core, without making code changes to core code. From this, we’ve then extended the principles of Actions and Filters into our own plugin, to demonstrate how we can allow developers to modify and extend our plugin code, without making changes to our core plugin. Next time, we’ll look at how to document Actions and Filters, as well as how to provide more developer-friendly documentation.